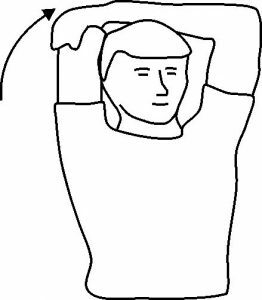 This is one of my favorite poses in yoga. Mainly because it is so versatile. It is a deep stretch up the backline of the body and can also be used to strengthen to your upper body. It can be performed during the warmup part of your yoga practice as well as a stand alone pose. It is also a lovely way to transition to standing poses via Three Leg Dog. It can help relieve symptoms of the menopause and improve your digestion. It calms the brain and helps relieve stress and mild depression. It is oddly enough a very energising pose and great to add into your practice if you are feeling tired or lethargic. As with any exercise, any tightness in the body can restrict your range in a pose so it is useful to add in a few stretches before you perform the exercise itself. 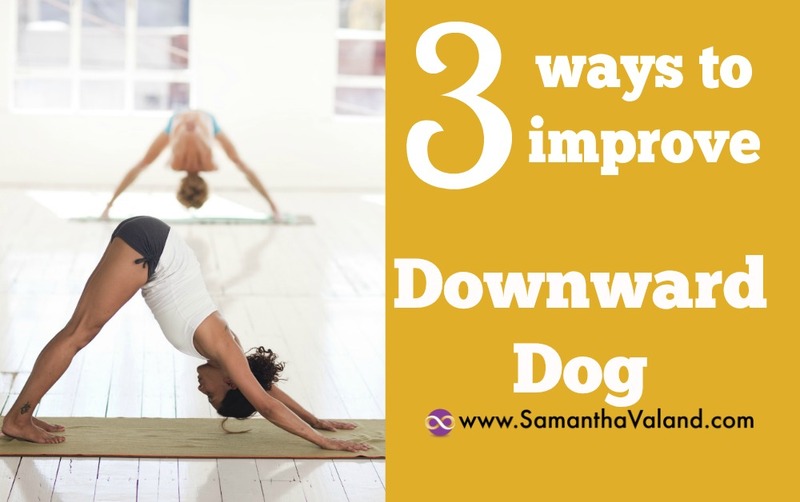 For Downward Dog I have selected 3 stretches that can help you ease into alignment easier. •Lastly a variation of Downward Dog that can help with a bit of everything! 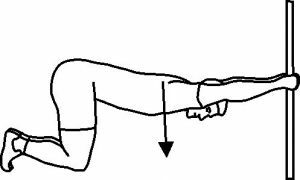 This stretch can easily be added to the warmup section of your yoga practice as it can be performed in seated and standing. Stretching your calves can also be added to the warm up section of your practice. It is easy to perform in standing and it can also be performed from a 4 point position which is on your hands and knees. This variation is a lovely stretch in itself and a gentle way of opening up the back of the body without gravity adding in an additional load. The image is kneeling but you can use a wall or a kitchen worktop is often a good height for this pose. Taking off socks for this one! • Take a step back from the wall and place your hands shoulder height and also shoulder width apart on the wall. 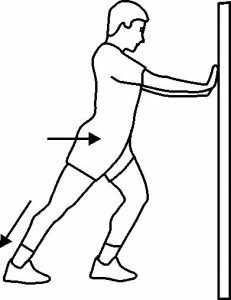 • Alternately walk your feet back and walk your hands down the wall until you feel like your arms are comfortably extended out. • Left gravity settle into your shoulders and relax but keep your head active and in line with your arms. Adding in specific stretches to your warmup routines can change how a pose feels for you. We all have areas of tightness and areas that need to be strengthen so the more you can listen to your body the better. It may be different times of the day that you notice your shoulders are tighter or more mobile. Your body can feel different every time you practice yoga so it is a worthwhile skill and habit to get get into. Always practice discernment whilst exercising. If it’s not feeling good, please stop and get some advice.